You are free to copy any information from this website, as long as you clearly mention the source. The source being this site, obviously. This site is in no way affiliated with Lucasfilm Ltd, who are the owners of all the rights to the Star Wars Saga. Lucasfilm does not endorse or authorize this website. 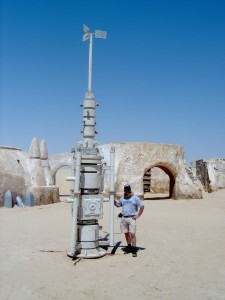 The images and photos used on this website are protected by copyright, either by Lucasfilm or by the respective owner of the photo, usually one of the Pioneers who has gone on one of the previous Trips. They are displayed for entertainment & educational purposes only. This website template - originally titled 'Midnight' - is a free template from Free CSS Templates (link in footer).